Kings XI Punjab yesterday walked away with a 12 run win against the Rajasthan Royals at the Punjab Cricket Association Stadium in Mohali. KXIP’s KL Rahul played a vital role in creating a total of 182 runs for the opponents. KL Rahul, who has been selected for the ICC Cricket World Cup 2019 made 52 runs from 47 balls. With this, the batsman not only brought up his fourth half-century in IPL 2019 but also went on to script a record for himself for the franchise. Kings XI Punjab vs Rajasthan Royals Live Cricket Score. The KXIP opener went on to complete1000 runs for the franchise with a striking average of 58.11. KL Rahul has amassed 1046 runs in 23 innings. The Karnataka opener was hired for Kings XI Punjab last year and has become the eight batsmen for Kings XI Punjab to achieve this feat. With this, he surpassed Kumar Sangakkara who had made 1009 runs in 37 matches. However, Shaun Marsh continues to lead the list of highest-run getters for KXIP. The Australian batsman has scored 2477 runs from 69 matches. 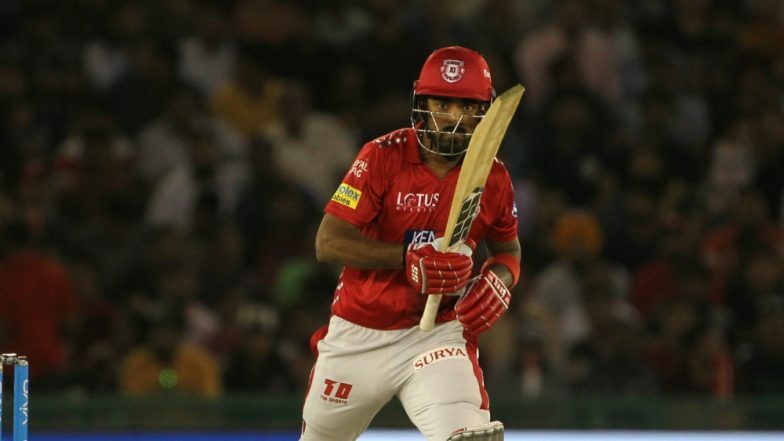 KXIP vs RR, IPL 2019 Stat Highlight: Kings XI Punjab’s All Round Performance Hand Rajasthan Royals With Their Sixth Defeat. Talking about the match, after the departure if Chris Gayle, KL Rahul handled the innings well. He started off quite slowly but as the game progressed, KL began to hit those big shots. During his innings, KL slammed three fours and a couple of sixes and batted at the strike rate of 110.63 David Miller was the second highest scorer of the game as he made 40 runs from 27 balls.